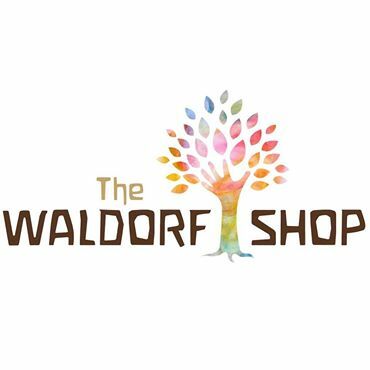 What makes a great gift for Waldorf kids? I say either experience gifts, like museum memberships or creative activities. Or, toys that encourage open-ended play. 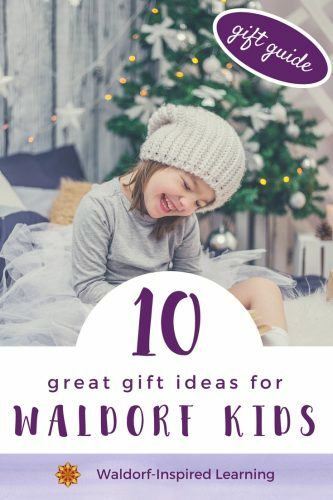 Here are 10 great gift ideas for Waldorf kids with specific suggestions. Send this list to the grandparents if they are looking for gift ideas! Save to Pinterest for later by clicking here. This post contains affiliate links for your convenience. You can read my full disclosure policy here. 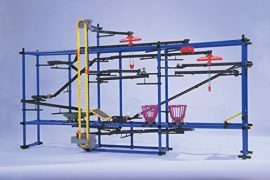 Open-ended toys allow children to bring their own creative powers to the play. Here are a few of our family favorites from over the years. In the younger years, my kids used these Playsilks in so many different ways. From forts to dress-up to scenery for skits. 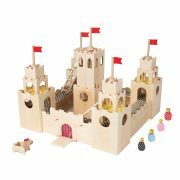 A wooden barn and a Castle were are favorites when my kids were younger. 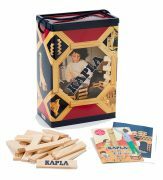 In the elementary years, these Kapla Blocks got more use than any other toy in the house. And in the middle school and teen years, this Chaos Tower was super popular. Getting a surprise in the mail every month is so much fun! 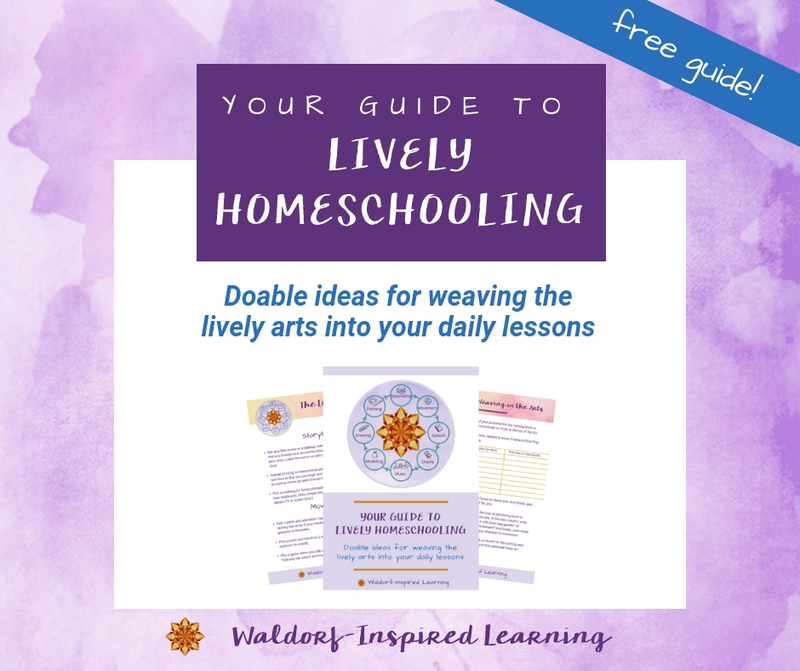 Whether it’s a new book or craft kit, these can be great for the whole family to get involved. 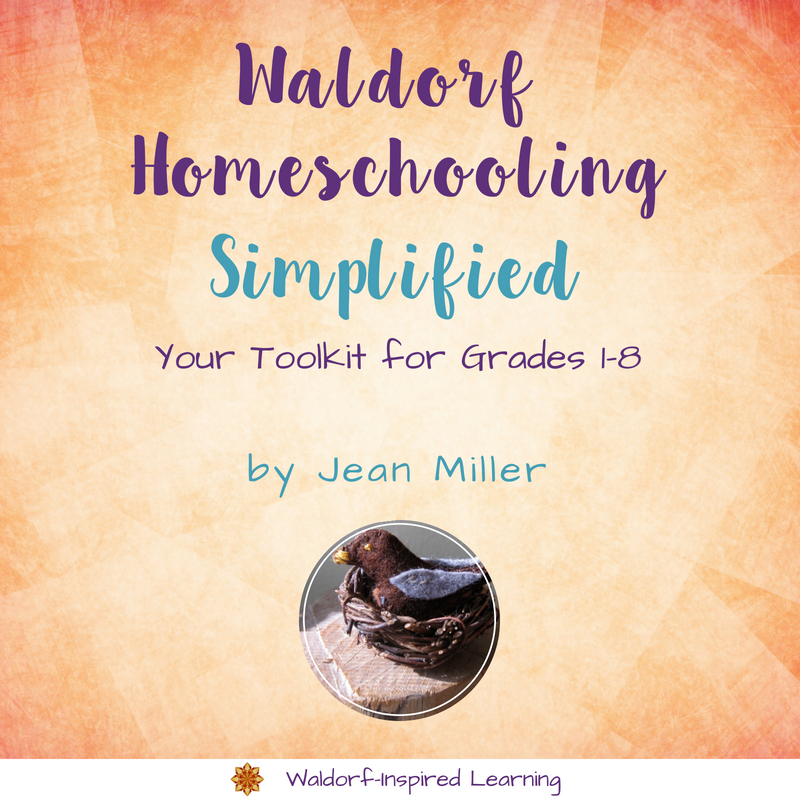 Here’s a Waldorf-inspired craft kit that I encourage you to check out. Happy Hedgehog Post is a monthly craft subscription that sends Waldorf-inspired craft kits to your door. Each month’s envelope is tailored to a theme (past themes include Michaelmas, Bees, Candlemas and Stars). You can get a 3-month, 6-month, or annual subscription. Making things together can be a bonding experience. Rudolf Steiner (the founder of Waldorf education) said that the purpose of handwork and crafts is to awaken creative powers that can be useful later in life in as many ways as possible. Here are a few favorites from our family. Candle-making Kit with beeswax sheets for rolling candles. 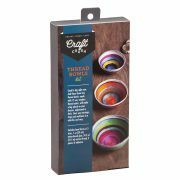 These thread bowls are so sweet in this Thread Bowls Kit. 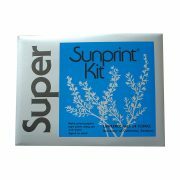 Sun prints are always enchanting with this SunPrint Paper Kit. Children love new art supplies! 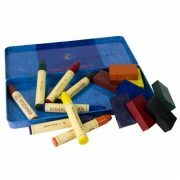 Give the gift of new crayons or colored pencils for many years of drawing enjoyment. Bonus: these are great for main lesson book work, too! I recommend these Block & Stick Crayons and these Lyra Colored Pencils. This Modelling Beeswax is good for little hands to have something to do while listening to stories. For many years, when the grandparents asked for a holiday gift suggestion, I would suggest an annual membership to either the local zoo, natural history museum, living history center, or arboretum. These make for such fun outings and the grandparents can even join you when they’re in town! Check out what’s available in your local community. When my kids were 8 to 10 years old, we gave them real tools. We made a wooden tool box with them as a woodworking project. Then around age 12, we gave them each a pocket knife. Real tools for real kids! Here is a nice Tool Set with Real Tools. And here is a Swiss Army Knife for explorers. 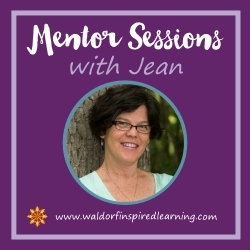 Our children love one-on-one time with us. Give the gift of an outing with you alone – brunch, a trip to a coffee shop, an afternoon at the art museum. You could give a gift certificate with a card, and this just might turn out to be their favorite gift of all! I love giving books as gifts. And I like to give each of my children at least one book as a gift every holiday. 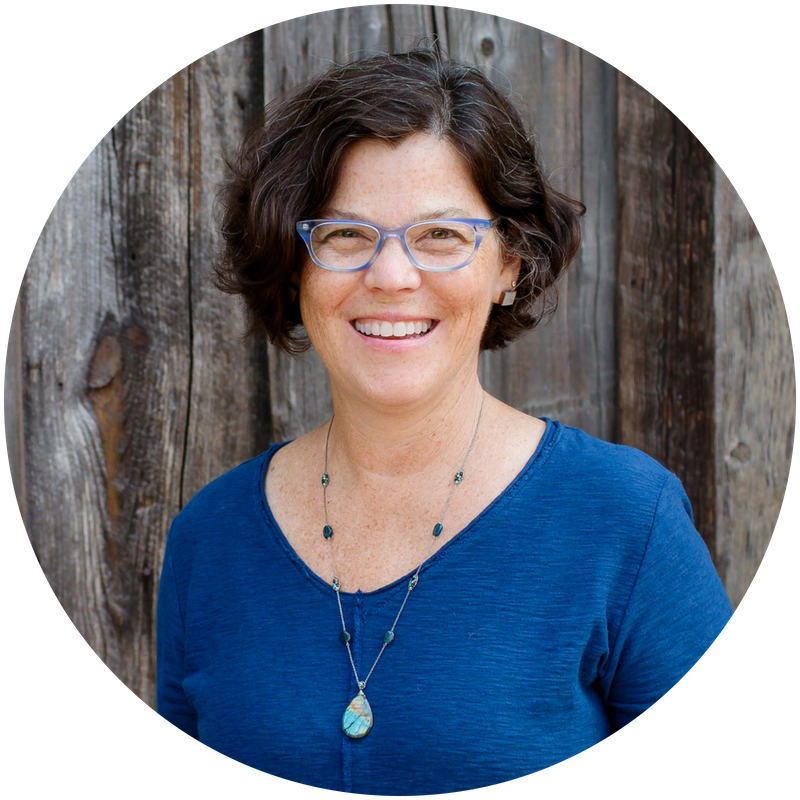 Check out my list of Favorite Winter Holiday Books for Reading & Giving. It’s such fun to receive a new edition of a magazine in the mail every month! We’ve really enjoyed the magazines from Cricket Media over the years. They have a range of magazines for different ages. Here are just two of our favorites. Cricket Magazine is a literary magazine for 9-14 year olds. Muse Magazine is a science-oriented magazine for 9-14 year olds. Board games can be fun for all ages. And when you gift a board game to a child, they get to invite others to play with them! For specific Board Game recommendations, check out my gift guide for 10 Best Games for Family Game Night. Looking for more gift ideas? 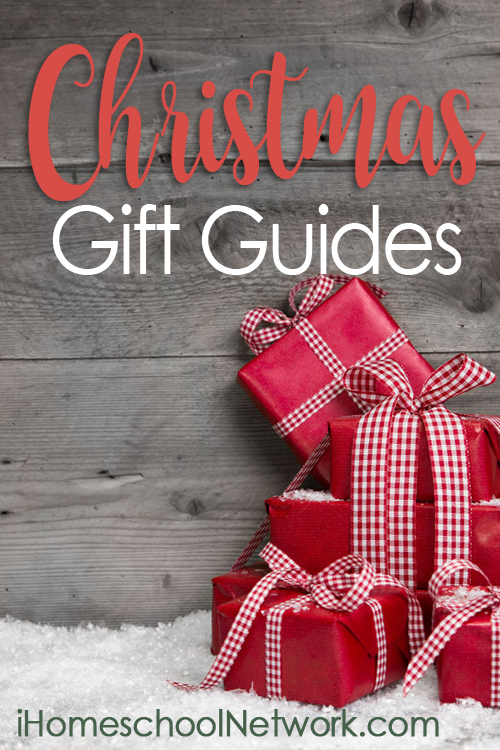 Check out Gift Guides & Book Lists for Waldorf Families. Simple gifts really make the best gifts. And remember, it’s not just about the gift-giving, but more about the experiences you share. Happy celebrations holidays to you and your family! Looking for more Christmas gift ideas? 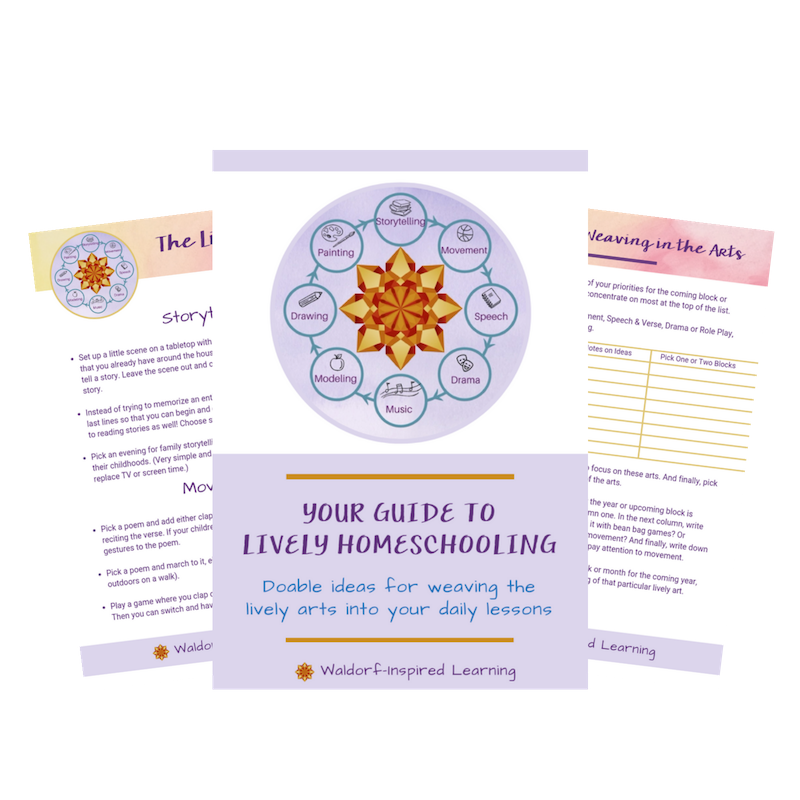 Check out this list from iHomeschool Network bloggers.